A little fresher on the nose when water is added. There's more yellow fruit coming through with lemons and peaches. Slightly more peppery and oaky with a tamed peaty smokiness. 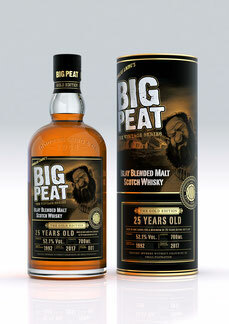 Prickling and sweet on the palate with citric fruits - lemons and oranges - while peat and smoke is fairly tamed. Smoked custard and slightly dry oak towards the finish. The finish is fairly dry with oak, cloves, sea salt and hints of peat.